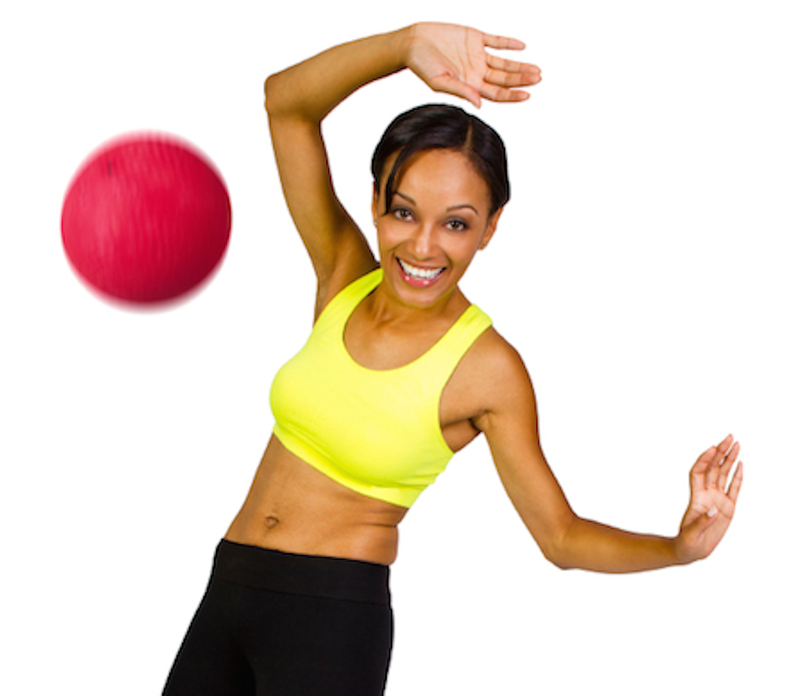 In the game dodgeball, people dodge out of the way when balls are thrown at them. To dodge means ‘to avoid something by moving suddenly to one side.’ It also means ‘to avoid a debt or a responsibility in a dishonest manner,’ or simply ‘to act evasively in response to something.’ As a noun, dodge is a quick and sudden movement, as to avoid something, or a dishonest trick or scheme used for deception. Fiona dodged her little brother's attempts to splash her in the swimming pool. They accused him of dodging his taxes. The politician dodged the question many times during the debate. The rugby player's dodge allowed her to avoid the tackle and go on to score. I don't believe he's sick; it's just a dodge to get out of taking his Spanish test. Dodgeball is a game that is played by two teams that throw balls at each other. The goal is to hit the players of the other team, eliminating them from the game. It is played with three or more balls. Usually, children play it in schools, but some high schools and even universities have dodgeball teams too! Especially in the UK, the adjective “dodgy” means that somebody or something is suspect or seems dishonest. Example: “If something sounds too good to be true, it’s probably dodgy and you should be very careful.” In informal conversation, many US speakers would be more likely to say sketchy or shady. Dodge dates back to the mid-16th century. It’s origin is unknown, though some linguists have suggested that it either came from or is related to the Scottish and Northern English dialectal term dodd (to jog). The verb originally meant ‘to go this way and that’ (and was used for people doing so in speech as well as in action), but this sense is now obsolete. The sense ‘to evade something by suddenly shifting place’ dates back to the mid-17th century, and becomes the most common sense by the 18th century. The figurative senses, ‘to act evasively’ or ‘to avoid a responsibility in a dishonest manner’ both appeared in the early 18th century. The noun, meaning ‘a quick or sudden movement to avoid something,’ dates back to the early 17th century, and comes from the verb. The figurative sense, ‘a dishonest trick or scheme used for deception,’ was first used in the early 18th century.